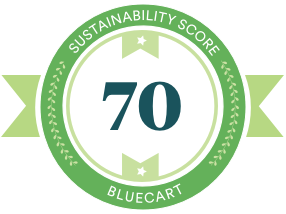 BlueCart’s Zero Waste Kitchen effort is about sharing sustainability practices with our community and the world. BlueCart is facilitating this conversation by placing chefs and industry partners in the spotlight to share their best food waste and sustainability insights in an effort to move into a greener future. 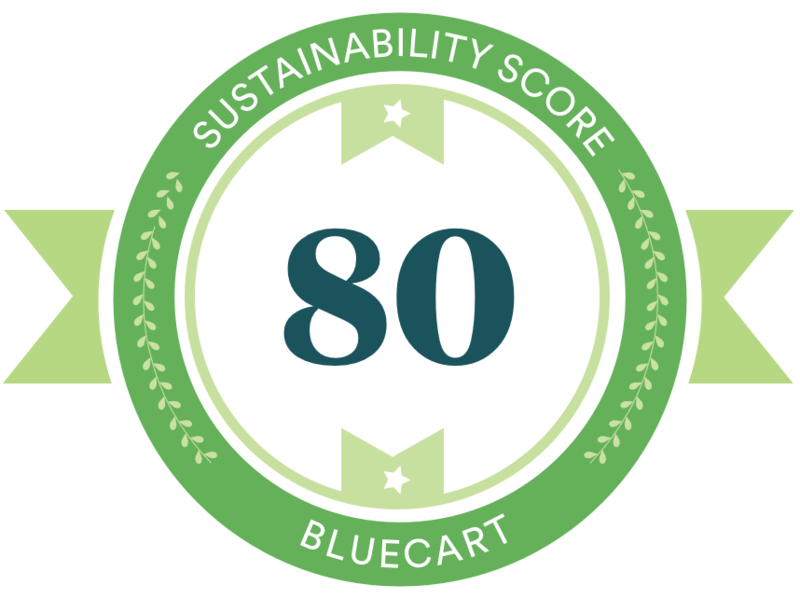 The Sustainability Score represents an aggregate performance of composting, having a food recovery program, minimizing the carbon footprint, and designing and implementing new food waste mitigation strategies. 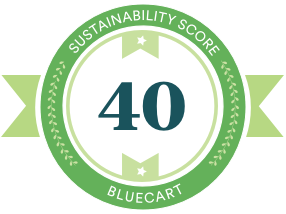 BlueCart recently discovered that chefs that operate with Just-in-Time ordering experience leaner inventories, and thus, waste less food. In addition, using BlueCart’s platform reduces the carbon footprint by eliminating paper from thousands of transactions. Our partners, our chefs, BlueCart, and now you, are helping promote a more sustainable environment within the restaurant and hospitality industry. This week we introduced our chefs to the world. Of course, we had to ask what inspired them to become chefs, where they learned their craft, what their present and future goals are, and what back of house problems they face today. Don’t miss their videos and blogs to learn more! 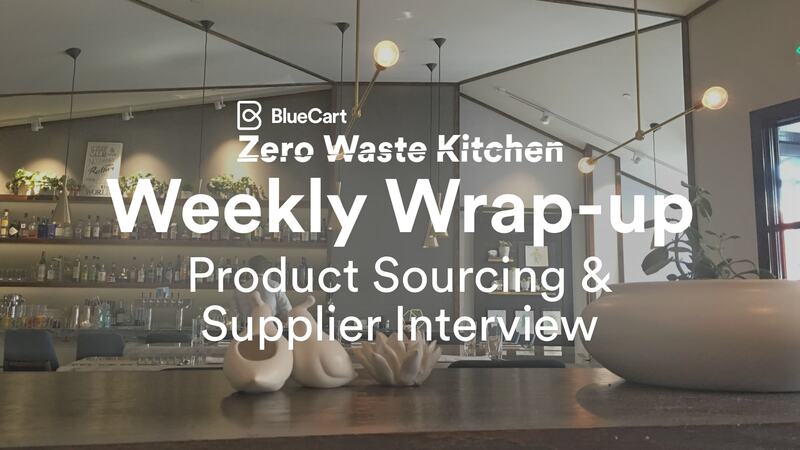 This week inside BlueCart’s Zero Waste Kitchen, we dipped our fingers into the saucy worlds of Chef Tanya Holland, Chef Tim Ma, and Chef Jehangir Mehta. We discovered that, aside from their celebrity status, all three chefs were born with a sustainable heart therefore have revealed some of their original food prevention tactics. Chef Tanya is on top of portion control and a huge advocate for not wasting food. So much so, that she uses all parts of her products and also donates compost and raw food scraps to a local community garden. She also solely works with vendors who value sustainability. Chef Tim Ma expressed that one of his back of house problems, and this goes for most restaurants, is food waste. In order to prevent food waste, Tim keeps a tight inventory. He also uses all of his vegetables by spreading all the parts to a variety of dishes. Check out his week 1 blog for more on those tips! Chef Jehangir passionately explained that since coming from a third world country, he was born into the mindset of not wasting food and saving. This mentality has followed him to all three of his restaurants as he and his staff use old, worn out menus as notepads and burn them after. He also mentioned that mushrooms use the least amount of water so they are a go-to vegetable. 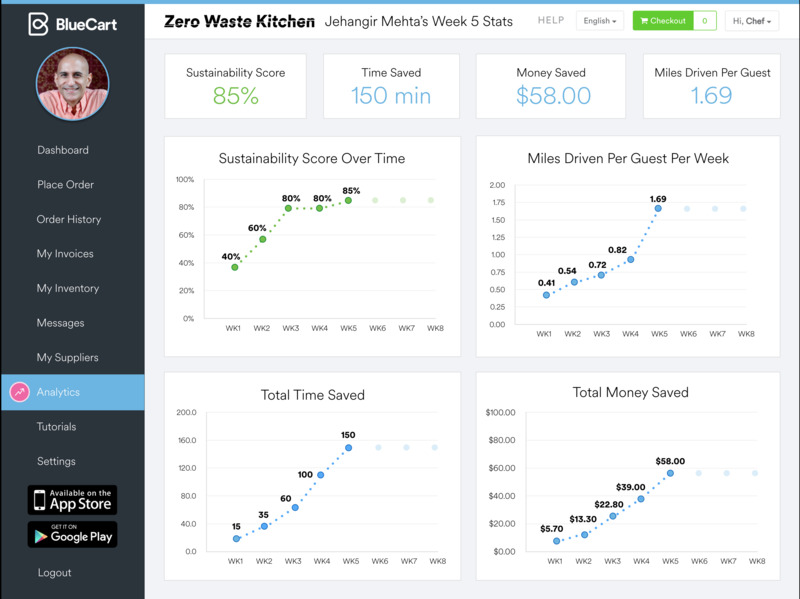 Keep up with Zero Waste Kitchen every week to follow our chefs in their journey to ultimate sustainability. They will share their best practices on working in the kitchen, food recovery, time management and much much more. Follow us to see how the pros do it. All three chefs come from different backgrounds with bold cuisines to match. Take a look at how their cultures define their menus. And, let’s not forget the team that helps put their edible arrangements together. Where would our chef's be without a solid team in the kitchen? Although they share a similar passion for food, Tanya, Tim, and Jehangir are all from vastly different cultures, and those differences are reflected deliciously in their cuisines. This week we’re submerging ourselves into the team and culture of each chef. 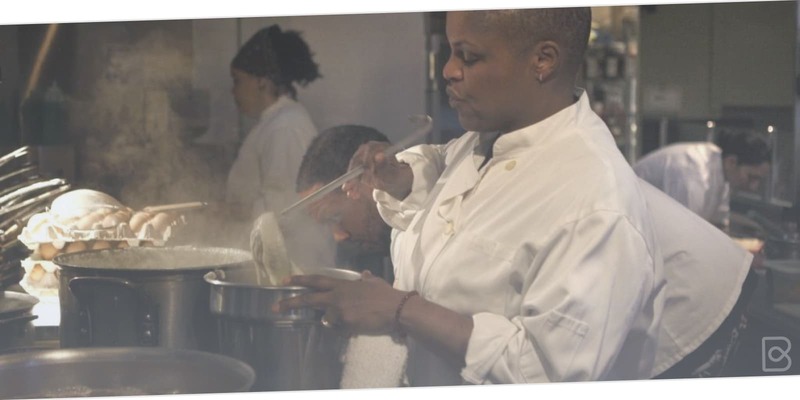 Tanya Holland has spent the last 12 years breaking down barriers and pioneering Oakland’s restaurant landscape, making her a role model for many chefs, especially women. Creating diversity in this industry and paving the way for other African American women to become chefs is a goal she takes pride in. Her kitchen culture revolves around working hard to provide the Bay Area with great southern hospitality and finger-licking-good food. 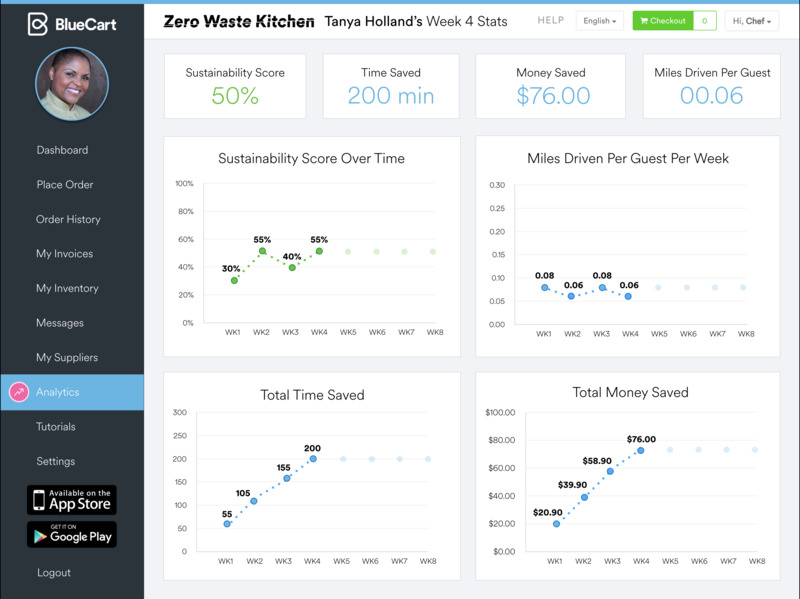 Tanya’s second week as part of Zero Waste Kitchen has bumped her sustainability score to 55%! 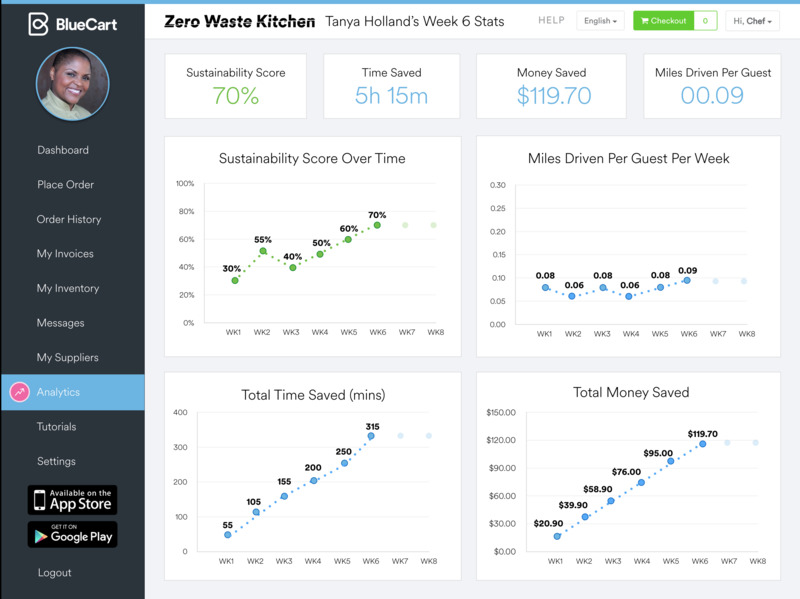 Visit Tanya’s timeline to peek into her kitchen statistics, team and culture. The culture at Kyirisan is inspired by his Chinese heritage mixed with his French culinary training. Oo la la! His motto is a happy staff equates to great food and trickles down to happy customers. Tim is currently in the middle of a revolution that’s taking DC by storm. To read more about that revolution and check out Tim’s kitchen stats, visit his timeline. He’s climbing up to a 30% sustainability score this week! Chef Jehangir’s kitchen is a give and take where harmony is a necessity. This works well for Chef Jehangir who embraces this philosophy and inspires those who appreciate the culture he’s created. Jehangir believes in a world filled with compassion that blends environment with well-being. 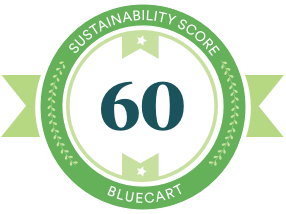 This week leaves our New York chef with a 60% sustainability score! 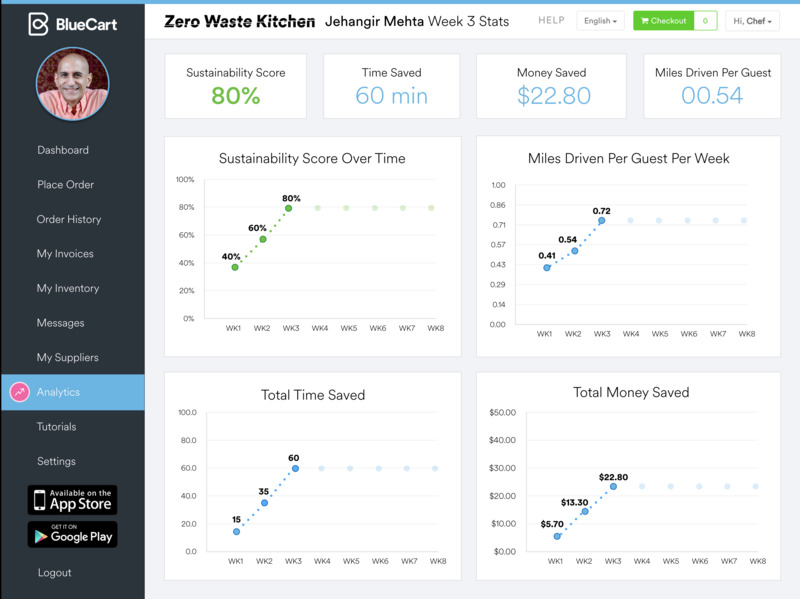 To gain more of Jehangir’s insight and check out his kitchen stats visit his timeline. This week is filled with juicy details on the chef's food recovery and food composting practices. Go to their timelines to read all about their recovery and composting practices! Approximately 1.3 billion tons of food gets wasted each year. 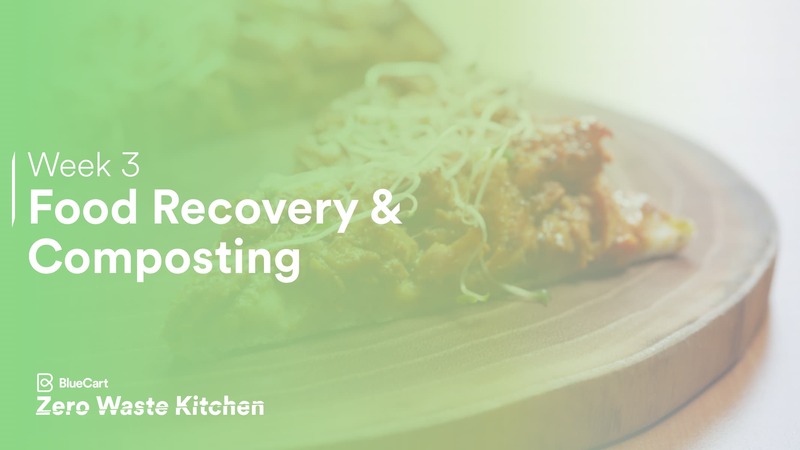 Food recovery and food composting are more than ever a necessary practice, especially if you are a chef. Tim, Tanya, and Jehangir are seasoned chefs and are able to share their experienced food waste tips and tricks with us. Chef Jehangir considers the entire lifecycle of a vegetable or protein. Ordering just the right amount rather than buying a whole fish is essential to using every ingredient and product that he orders through BlueCart. Chef Tim emphasizes the use of local, sustainable, and organic food, which is prevalent throughout his menu. Sourcing meat and produce from farms and other places he trusts is critical to his belief in the local sourcing and farm to table movements. In the kitchen, he utilizes every part of the produce or animal - root to tip and nose to tail. Chef Tanya is very nifty in her food recovery and food composting game. For instance, she will take day-old coffee grounds to make cold brew coffee and older grounds go to the garden compost pile. Any leftover food will be composted through a local community garden. Like what you’re reading? 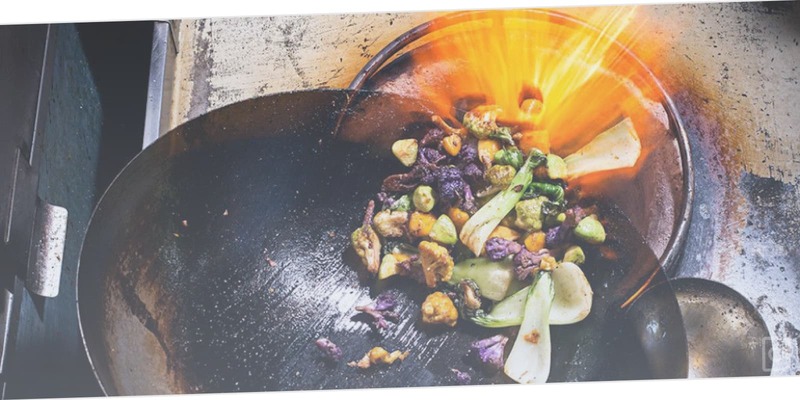 Head over to Zero Waste Kitchen to read each chefs timeline to discover more valuable food recovery and composting tricks! This week chefs talk about choosing suppliers and how they impact their incredible menus! We all know restaurants get all the limelight, but who provides them with the best material to put on an edible show? If you guessed suppliers, you guessed right. This week revolved around getting inside our chefs relationships with their suppliers. Any restaurateur knows that a good supplier is a vital proponent to the quality of their business. When choosing vendors, Jehangir looks to those he knows, trusts and who can provide quality products. Having supplier partners who go the extra mile is always a nice; one of Chef Jehangir’s suppliers will go out of her way to immediately correct an order or even find an ingredient she is out of and deliver personally. Sustainability is important to Tim Ma, so sourcing meat and produce from farms and other places he trusts is critical. He has known some of his suppliers and reps since the very beginning; that longevity goes a long way when your supplier relationships go from transaction-focused to business partnerships between chef and rep.
And what does Tanya Holland look for when seeking out a new vendor? Reputation plays a big role along the same product quality. Everyday deliveries are vital seeing as Brown Sugar Kitchen’s storage capability is small and not a lot of walk-in space to store extras. The reason the Brown Sugar Kitchen is so organized. 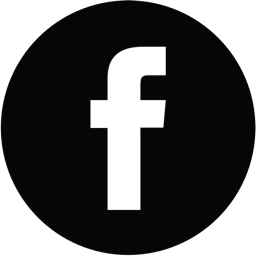 If you’re interested in reading more about Tanya, Tim, and Jehangir head over to their timelines and read more in depth about their supplier relationships! This week our Zero Waste Kitchen chefs focused on the use of technology in their restaurants. Prior to BlueCart, e-mailing and phone calls were the preferred method to order from suppliers. In addition, spreadsheets were imperative to staying on top of orders and an updated list of product vendors. With the addition of the BlueCart platform, additional reporting from the inventory and ordering side of the kitchen is adding a helpful layer in this already streamlined and efficient kitchen. Utilizing technology at Kyrisan is all about efficiency. Chef Ma values the streamlined ordering process with BlueCart as well as his reservation and POS systems – back-of-the-house technology is improving but he feels that operationally, he does not require much tech as the front-of-the-house requires interaction with a host, waiter and seeing the chefs in the kitchen. It is all part of the experience and art of the restaurant. For Jehangir Mehta, technology is welcomed but only when it does not disrupt the experience. Utilizing BlueCart has made the back-of-the-house ordering more efficient by having all orders and items visible. The app is greatly appreciated during the times Chef Mehta is out of town and away from his restaurant as he can still monitor his staffs ordering activity. Chef Mehta is also looking at mobile payments for customers – convenient, and also less paper. As long at technology adds to the experience without taking away the human touch, it is welcome here at Graffiti Earth. Stay tuned for next week as we explore the chef's time management and productivity practices. As a restaurant owner and chef, there is never enough time. Little time breeds the importance of productivity and that’s why this week's theme is centered around how our chefs manage time and productivity most efficiently and effectively in the restaurant. 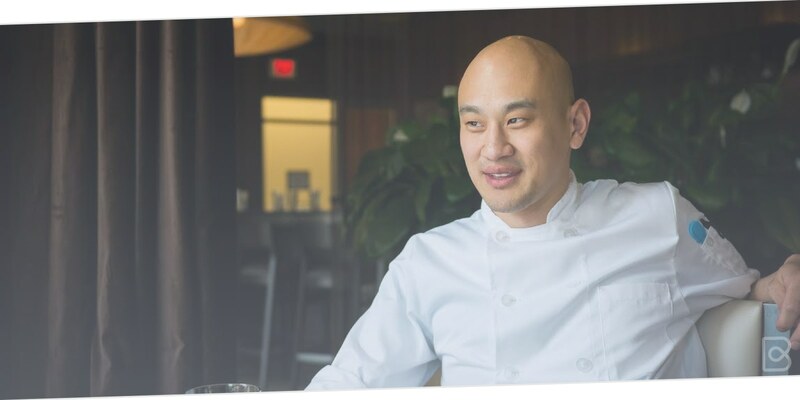 When we asked Chef Ma about the most time consuming part of being a chef, personnel management was definitely a large part of the job between hiring and management issues. A close second to personnel management is keeping track of inventory. To help him around the kitchen Chef Ma likes to delegate by giving his staff ownership of their area. Running a restaurant is a juggling act. “You need to be a marketer, chef, advisor and a motivator”, says Chef Mehta when asked what is the most time-consuming part of a chef’s job. Working with his staff to be as efficient as possible is a large part of his day to day activity. Staying on top of labor costs is much more difficult for a smaller restaurant. 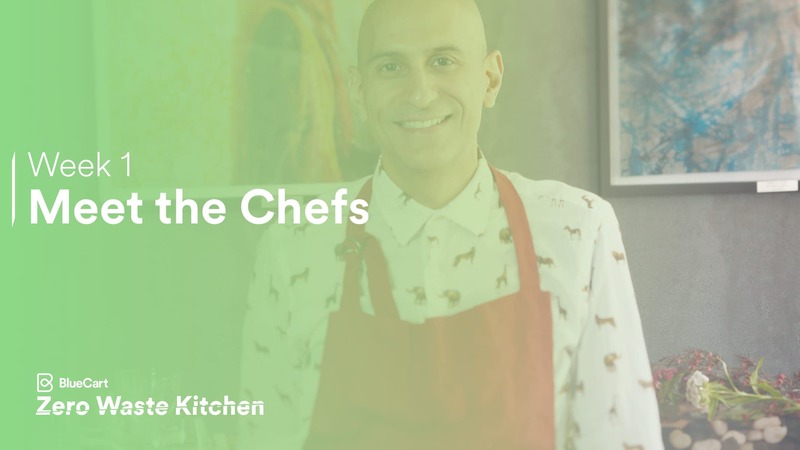 Chef Mehta tells us what he likes after using the BlueCart platform for six weeks; he was travelling recently and because the BlueCart platform is in the cloud, it allowed him to see exactly what was being ordered by his staff. We’re heading into Inventory Management week 7 next week. 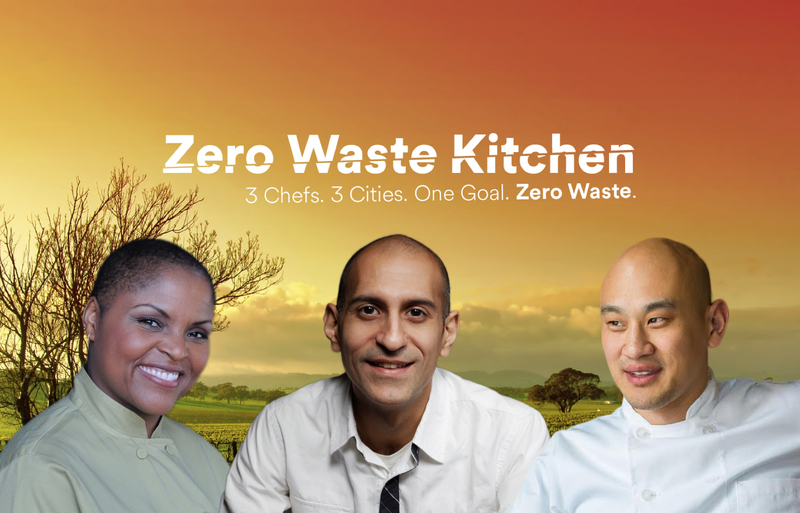 Looking ahead, we’re excited for our Zero Waste Kitchen Finale during week eight’s Live Twitter discussion with all three of our chefs hosted by our friends over at Food + Tech Connect. Stick with us till the end to see our chefs closing statements and final sustainability scores. Let’s give Chef Tanya a warm welcome to The Zero Waste Kitchen as she delights us with her inspirational culinary background. Chef Tanya grew up in a family passionate about cooking. It was that passion she experienced cooking for friends and family that led Tanya on her path to Chef and restaurateur and she has been blazing new trails ever since. Her goals when deciding to open her own restaurant circled around diversifying the industry and creating opportunities for people from her similar background. Creating a new spin on modern soul food and comfort classics, she has created a brand that spans restaurants, cookbooks and television work. After studying at La Varenne in Burgundy France, and the Institute of Culinary Education, her goals when starting out were to be a part of diversifying the industry and creating opportunities for others. 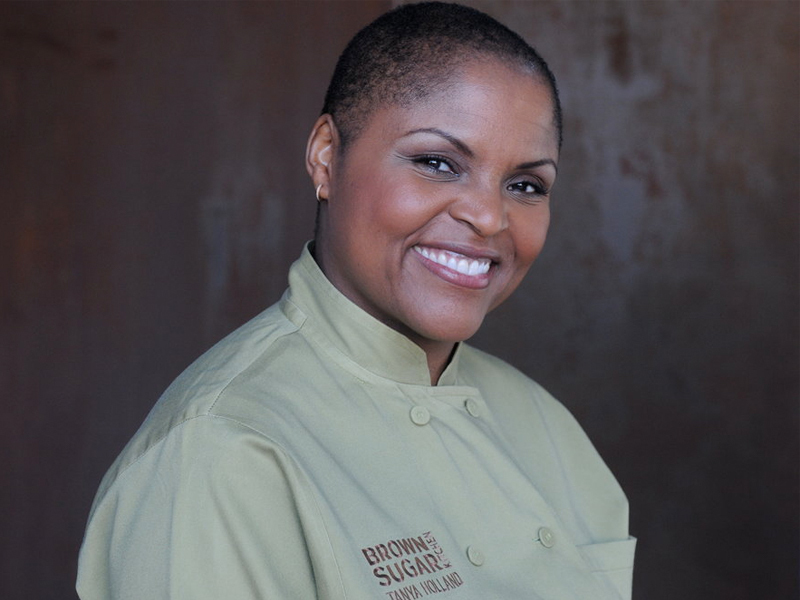 With her restaurant Brown Sugar Kitchen, she has created a destination diner with a comforting atmosphere and menu that includes local and seasonal food with a soulful twist. It is that focus on resourcing local and careful attention to food waste that is Chef Tanya’s philosophy around food, hiring, and sourcing. With a smaller kitchen, her staff needs to be even more efficient balancing limited storage with perishables. That is why she is a stickler about rotation and ‘first in, first out’, as well as portion control. Food Waste is especially important to Chef Tanya. She has bins for composting where she works with community gardens while cultivating vendors who also value sustainability. When ordering, being mindful to waste is ever present and being as efficient as possible is paramount. Brown Sugar Kitchen’s menu doesn’t change, so it is easier to monitor inventory and reduce waste. She continues that ethos in seeking to eliminate waste across her operation. 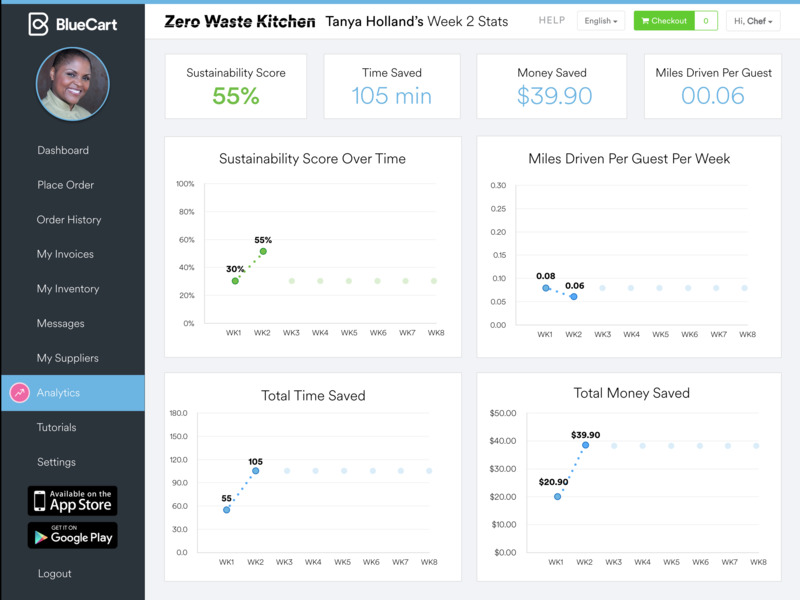 Peek into Tanya’s kitchen to track her back-of-house efficiency and carbon footprint! Chef Tanya has contributed so much to the culinary fabric of the Bay Area; her impact is felt both in the industrial neighborhood where she created a destination dining space as well as beyond the borders of Oakland. She how she impacts her community and team. Oakland is a relatively new player on the culinary stage, but it has now proven that it has some pretty serious restaurant chops. Oakland recently scored the top spot on USA Today’s list of “Best Local Food Scenes” on the West Coast. 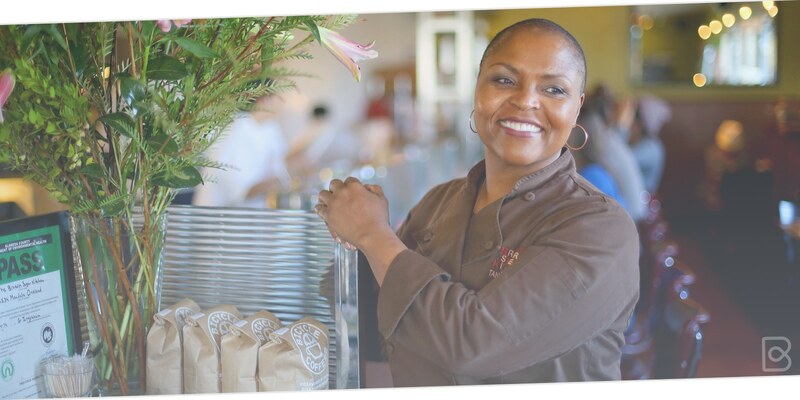 Tanya Holland, Owner and Head Chef of Brown Sugar Kitchen, has been a part of this city for 12 years helping put Oakland on the map. 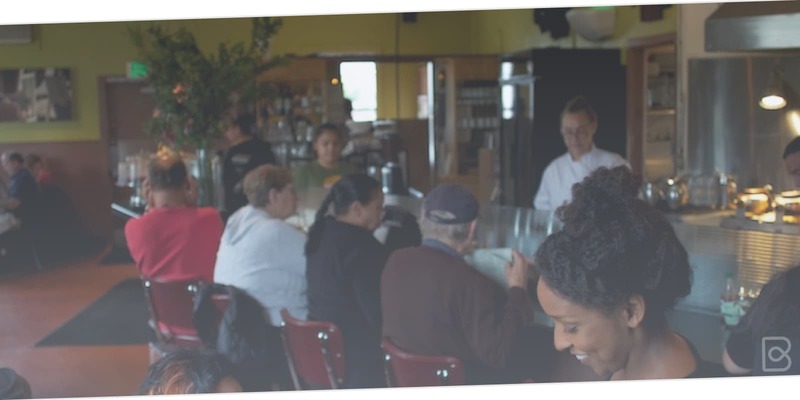 Chef Holland has contributed so much to the culinary fabric of the Bay Area; her impact is felt both in the industrial neighborhood where she created a destination dining space as well as beyond the borders of Oakland. Devoted customers flock to her restaurant where ‘comfort’ extends beyond the menu. Chef Holland wanted to create a concept that would universally appeal to diners, whether they be native to Oakland or visiting from overseas. What keeps them coming back is her mastery over her culinary craft, where any given Sunday you will find a line outside the door, especially for brunch. 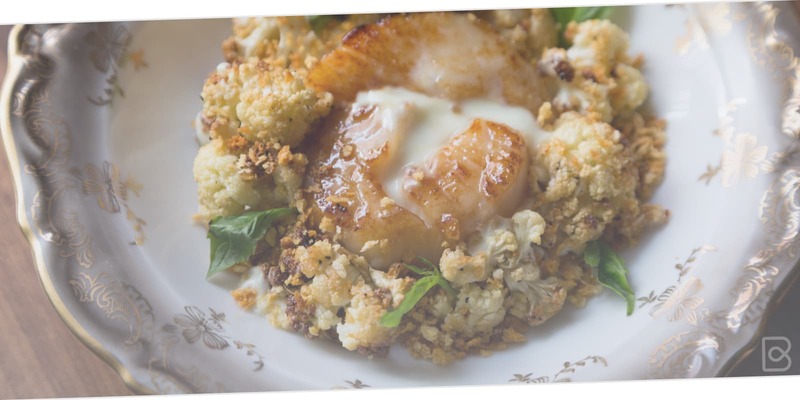 With southern cooking at the root of her cuisine, her French training as well as Caribbean flavors merge to create an eclectic menu fully infused with flavor. Brown Sugar Kitchen’s kitchen is a super busy, open format where everyone works in sync with each other. The open concept creates a staff dynamic of sharing and enjoying the theatre of the kitchen while creating good cuisine for their customers. It could be the motto for Brown Sugar Kitchen as well. By now, eating locally and sourcing sustainably is baked into almost all menus in the Bay Area, but Chef Tanya takes the process to new heights. By now, eating locally and sourcing sustainably is baked into almost all menus in the Bay Area, but Chef Tanya takes the process to new heights. She shared with us some of her kitchen magic: by making menu items perform double duty, she not only reduces waste, but serves up money- saving dishes that customers love. Leftover potatoes that are cut one way for breakfast are then chopped up to make a hash at the end of the day. Another hash is made from the Smoked Pork cut off the bone of the original menu item. Jerk Chicken is smoked every day and then pulled off the bone to make Gumbo to use every last bit of the smoky meat. Bacon made for the breakfast service is then cut up and used in the Bacon Cheddar Scallion Biscuits. Day old coffee grounds are used to make cold brew coffee and older grounds go to the garden compost pile. What is left over is then composted through a local community garden and other items that the garden cannot take, is picked up by Recology, the Bay Area waste management company who is very progressive in their sustainability practices. Chef Tanya and her kitchen manager Lakesha are getting comfortable with the BlueCart platform where Chef Tanya seeks to have accountability for staff and vendors, clarity around raw product usage during the ordering process and less waste, Lakesha sees the BlueCart platform as a way to watch costs and save money in the long term. She also appreciates not having to phone in orders! Scores are fluctuating! Peek into Tanya’s kitchen to track her back-of-house efficiency and carbon footprint! With a whopping 19 suppliers on BlueCart, Tanya has really embraced the Zero Waste Kitchen project. Chef Tanya, like many other restaurant operators, likes to speak directly to her suppliers and maintain her personal relationships. Read more about her here! Chef Tanya and her kitchen manager, Lakesha Pursley, are really pushing the envelope when it comes to acclimating to the BlueCart platform. 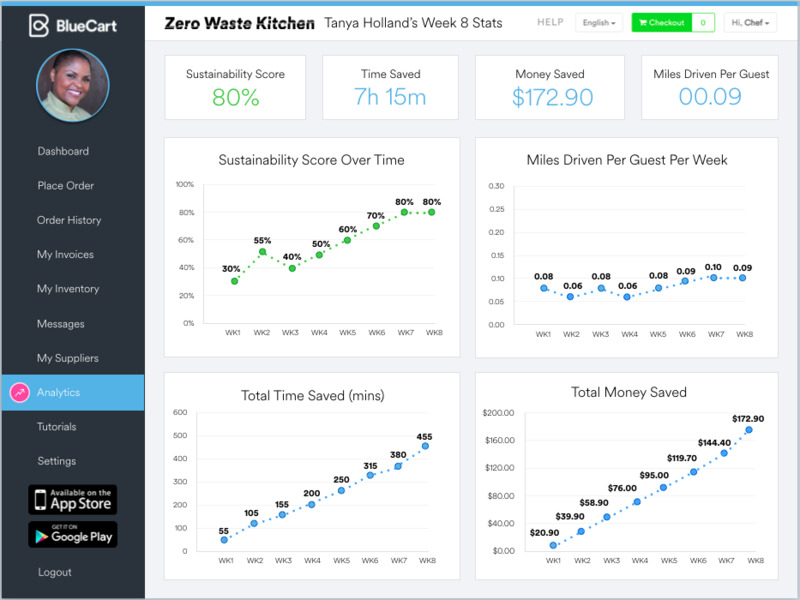 With a whopping 19 suppliers on the platform, they have really embraced the Zero Waste Kitchen project. Chef Tanya, like many other restaurant operators, likes to speak directly to her suppliers and maintain her personal relationships. These are relationships cultivated over time, so she appreciates the opportunity to ask directly about her products, where it is sourced, how it is packaged and any new products they may have that she could incorporate into a dish. On the flipside, she doesn’t take as many vendor meetings due to the intensity of her business. Brown Sugar Kitchen is known for lines around the building during breakfast and lunch, so working with vendors needs to fall into the efficiency bucket as well. What does she look for in a supplier? Consistent quality and product, locally sourced, a thoughtful heads-up if a there is a product change and one that practices sustainability in their own business. When seeking out a new vendor, reputation plays a big role along the same product quality. Everyday deliveries are vital seeing as Brown Sugar Kitchen’s storage capability is small and not a lot of walk-in space to store extras. The reason the Brown Sugar Kitchen is so organized. This is an extremely efficient kitchen as Chef Tanya states, “we have to be efficient because we have a small kitchen.” Spacing out deliveries gives them time to put food away further increasing the utility of this tightly-run ship. Knowing your products and suppliers and how best to employ is also key; one supplier may deliver early in the morning, another later in the day. Prioritizing orders to fit with products and deliveries is yet another innate quality of Chef Tanya and her Kitchen Manager, Lakesha Pursley. 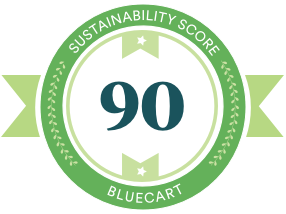 Using BlueCart satisfies both the opportunity to talk with her supplier’s sales reps while also speeding up the process when they are under the gun, which is the norm in this very busy restaurant. Numbers are rising! Get familiar with @BrownSugarKitch’s back-of-house efficiency and carbon footprint stats! Prior to BlueCart, e-mailing and phone calls were the preferred method to order from suppliers. In addition, spreadsheets were imperative to staying on top of orders and an updated list of product vendors. Now, Tanya has found ONE great back-of-house tool that gives her process balance. Prior to BlueCart, e-mailing and phone calls were the preferred method to order from suppliers. In addition, spreadsheets were imperative to staying on top of orders and an updated list of product vendors. The menu at Brown Sugar Kitchen doesn’t change much which makes ordering and inventory easier as it is a daily process. 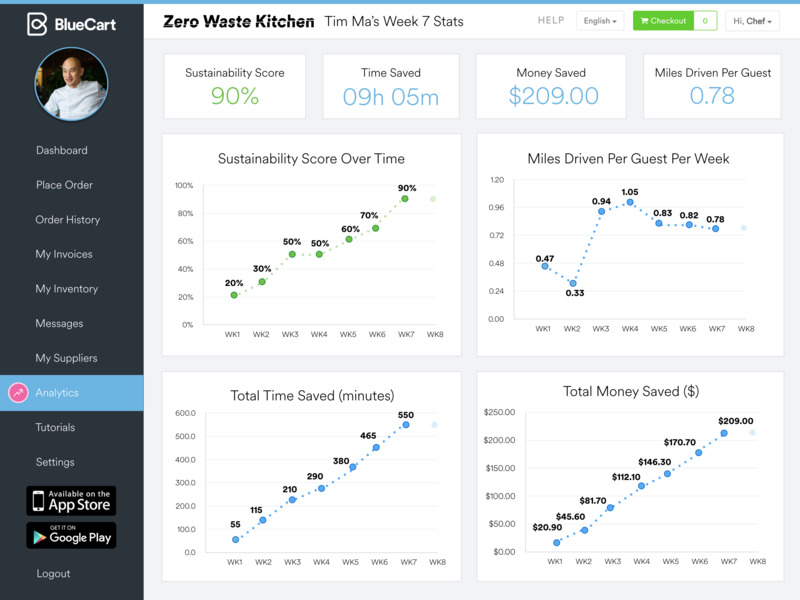 Food waste is currently tracked by carefully watching what is used in recipes and by setting obtainable goals in place to visually monitor inventory each day. Since they compost kitchen waste in a variety of ways, this system is streamlined and embedded in the daily routine. Regarding technology at Brown Sugar Kitchen, the POS system is the most utilized. With reporting – both sales and payroll – it is a very functional part of the operations. Insight into data is helpful with check averages and pricing. They know their sales leaders, but like to track consumer metrics to better understand trends and customer preferences. With the addition of the BlueCart platform, additional reporting from the inventory and ordering side of the kitchen is adding a helpful layer in this already streamlined and efficient kitchen. 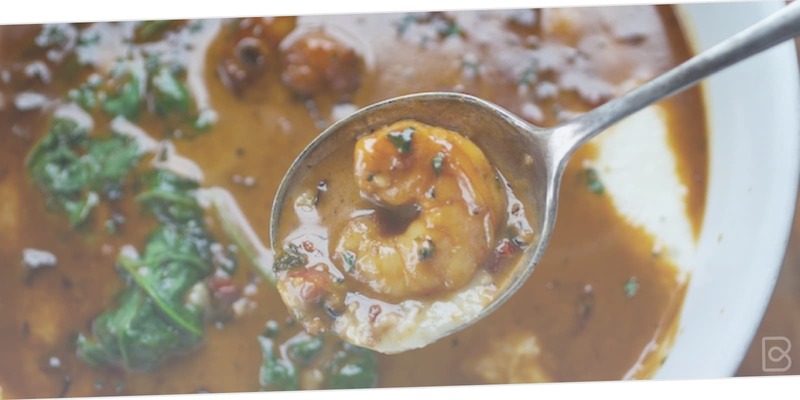 Patrons at Tanya Holland’s restaurant, Brown Sugar Kitchen, have been known to leave love letters to her Creole shrimp and grits. Clearly, the magic happens behind the scenes. Ready to see what you don’t normally get to see? Keeping your kitchen productive and ensuring that everyone stays on task seems to be a universal issue among restaurants. For Brown Sugar Kitchen, keeping employees busy and productive during and after the breakfast or lunch service. In this kitchen, however, keeping the prep work going during a busy time is a challenge along with managing, hiring and scheduling staff. Chef Tanya has set up an effective system to keep kitchen staff working together. Whether it’s making waffles from scratch or creating a stock, there is a congruence to the way the team works – from prep to completion. Keeping recipes and prep lists organized helps keep the kitchen running smoothly. Every spot in the kitchen is utilized and serves a purpose. If a spot is empty, it needs replacing ~ it’s just that simple. Or if they run out of an item, say cornbread – the kitchen staff goes into action with the smooth, and finely tuned processes they have been trained to do. 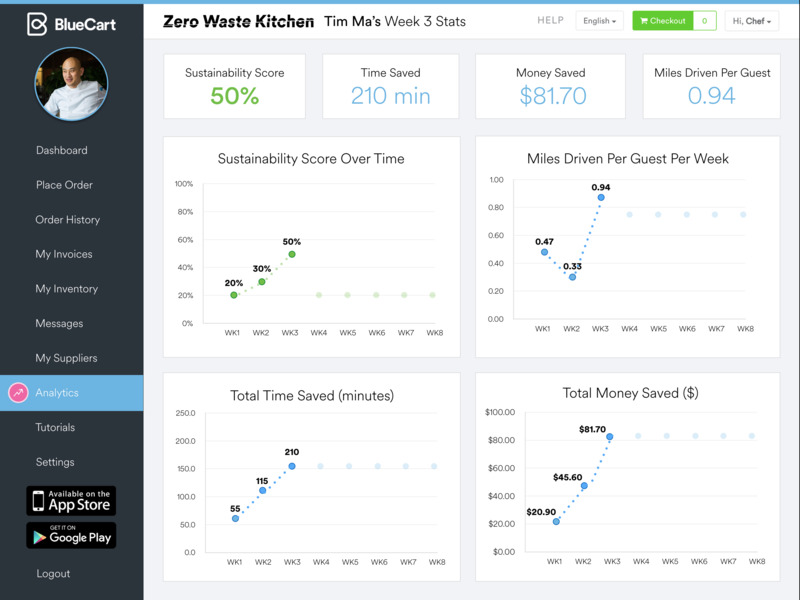 Let’s give Chef Tim a warm welcome to The Zero Waste Kitchen as he invites us into his culinary background and practice. Chef Ma is a renaissance man. Going from a left-brain career as an engineer to the more creative right brain role as a chef, came full circle for him. Growing up in a restaurant family, Chef Tim was by default immersed in that life and thus chose to return. When he decided to open a restaurant, his goals were to not just own a restaurant but also to be a chef and speak “a chef’s language.”. Knowing more than just operations and running a restaurant was very important to him and he found the challenge intriguing. Training at what is now the French Culinary Institute, he discovered that he truly loved professional cooking and had a sincere love of food. As his skills and experience progressed, his goals and philosophy were shaped for how to design his menus; with local purveyors that are plentiful in Virginia where he opened his first restaurant. The thoughtful approach of ‘farm to table’ was prevalent with a rooftop garden and focus on local procurement of produce and meat. Now with his newest restaurant in DC, Kyirisan, he has perfected this process where it is now second nature to him and his staff. With strong beliefs in place, Chef Ma’s kitchen doctrine is to reutilize whatever does not go on a customer’s plate such as a kohlrabi or beet; or, using the bulb and stem or shells of onions. For mushrooms, he uses the tops for plating and stems for making a stock that is shared with his other restaurants. The challenge around ordering and food waste, as with any restaurant, is the continual balance of having enough inventory but not running out. Checking inventory at Kyirisan is a conscious and continual process throughout the day. Maintaining an efficient kitchen and being mindful of food waste is a shared responsibility among the staff. 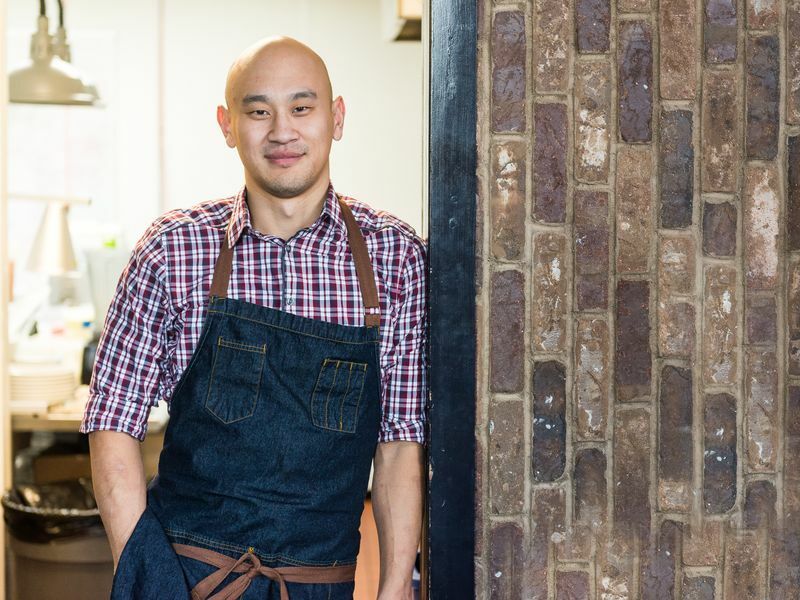 Catch more of Tim Ma on an episode of Chefs Dish DC! Peek into Tim’s kitchen to track his back-of-house efficiency and carbon footprint! In the middle of all his kitchen chaos, Chef Tim still can create a zen-like environment. His leadership and positive culture allows for him to pick and choose his dream team. Check out how! “Happy Cooks = Happy Food = Happy Customers”, a motto Chef Tim Ma subscribes to in creating the feeling of his restaurant Kyirisan. This mantra is apparent in the zen-like approach he’s implemented into his restaurant and overall dining atmosphere. Despite having an entirely different career as an Engineer in the Defense sector prior to going to cooking school, Chef Tim has managed to create a culture that lends itself to a content staff. It’s quite a challenge considering the stressful nature of grueling restaurant kitchen work that can take a toll on cooks both mentally and physically. His philosophy has been instrumental in his staff’s morale, and ultimately, his restaurant’s success. Chef Tim can pick and choose his dream team who fits well in the culture of end-to-end responsibility leading to a staff that can take pride in their work. His incredibly low turnover rate is testament to Chef Tim’s leadership and positivity-inspired culture. From a broader perspective, culture is a great influencer of the menu. For Chef Tim, Kyirisan is a reflection of both his Chinese heritage and his training in French cuisine. By applying French techniques to various dishes, Chef Tim creates new twists out of old favorites. Whether by chance or by choice, Chef Tim is right in the middle of the food revolution that is currently taking DC by storm. As Chef Tim says, “DC is having a food moment.” We would agree; DC was recently named the best Restaurant City of the year for 2016 with extra attention from Bon Appetit and Michelin appointing 12 Michelin stars late last year. Within the larger community, there is an Asian Street Food movement where Kyirisan fits snugly among modern Asian cuisine that blends with Filipino, Asian and Chinese cuisine. It’s a good time to be in DC. Chef Tim emphasizes the use of local, sustainable, and organic food, which is prevalent throughout his menu. Sourcing meat and produce from farms and other places he trusts is critical to his belief in the local sourcing and farm to table movements. A very controlled kitchen and ordering only what is needed is what keeps Kyirisan at the front door of the food waste revolution. Using everything in the kitchen; root to tip and nose to tail; Chef Ma buys only what is needed. This isn’t a new practice for Chef Tim. His Vienna, VA restaurant Maple Ave was awarded green certification due to its green activities that they put to use every day by recycling used cooking oil into biodiesel fuel, eliminating usage of Styrofoam, using biodegradable carry-out containers and bags, implementing a recycling program, using natural lighting, and purveying local, sustainable and organic food. He is currently using the BlueCart platform ordering for the kitchen and adding the Bar to his orders this week. This will give him a 360 view of his inventory and order history along with analytics to compare purchases over time. Chef Tim especially likes that he can see other orders pending so there isn’t any confusion over incoming and outgoing orders. Chef Tim counts on his purveyors for inspiration and appreciates the introduction of unusual or ‘off the beaten path’ produce. Tuscarora Farms and Sea to Table are two he trusts to deliver to keep his menu fresh. The Kyirisan menu is designed to be playful and fun – noted immediately as the dishes are described as “’In the Ground”, “On the Ground” and “Under the Water”. You immediately know that the original source of the ingredients are critical to share and note. With nine suppliers on the BlueCart platform, the Kyirisan staff is jumping right in. Going from texting or e-mailing orders prior to using BlueCart is becoming a habit for his staff. Keeping track of all orders and easy access to order history is definitely a benefit to the old way. Especially when orders were missed altogether via e-mail – something he and his team would notice with a few weekend orders. They took to e-mailing their entire back office just to make sure the order went through. With BlueCart, when an order is placed, both the vendor and the chef receive the order and you know when your supplier opens the e-mail. Confirmation without having to make a phone call or wonder if your order went through. Flexing new muscles to adopt a new system is always a challenge, even when that new system brings benefits. Sustainability is important to Chef Ma, so sourcing meat and produce from farms and other places he trusts is critical. He has known some of his suppliers and reps since the very beginning; that longevity goes a long way when your supplier relationships go from transaction-focused to business partnerships between Chef and Rep. His rep will take care of him; whether it is a price adjustment, a last minute item needed or bringing new or unique products to his attention that are a perfect fit for his menu. When asked what characteristics you look for in a new supplier, the answer was showing a new product he can’t get anywhere else. One of those was a Crème´Fraiche product introduced by Chef’s Warehouse that is now an integral part of the Kyirisan menu. Another supplier, International Gourmet, always comes in to introduce new items to Chef Ma. Something he really appreciates as he doesn’t have the time to do so. And who knows, it could become a very important ingredient from a dish rooted in plant, protein or sea. Numbers are rising! Get familiar with @Kyirisan’s back-of-house efficiency and carbon footprint stats! Utilizing technology at Kyrisan is all about efficiency. 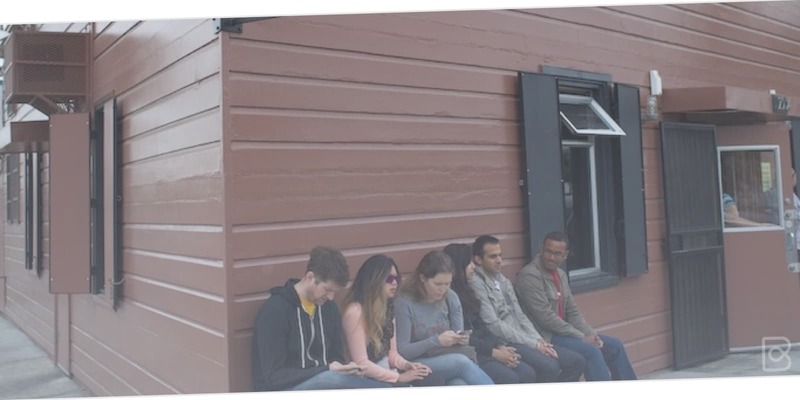 Take a look at what Tim Ma values when it comes to utilizing technology in the restaurant. At Kyirisan, there are three people in the kitchen who place orders so communication is key. It’s absolutely imperative that everyone is coordinating their ordering efforts so no orders get lost or doubled up. Prior to BlueCart, Chef Ma and his kitchen crew called in orders or sent e-mails. Keeping track of food waste is not a difficult task; a loosely described system of innately knowing what you have on hand. Extra items are usually served up for staff and family meals. Kyirisan does have opportunities to go off menu; private dining and wine dinners are served either by utilizing a communal table that sits in the middle of the restaurant or a full buy out of the restaurant. These events call for special ingredients not presented on the regular menu. In fact, for Valentine’s Day this year, they went totally off menu by creating a Valentine’s Day “Fancy F***ing French Restaurant”. Chef Ma appreciates the opportunity to totally transcend the restaurant and offer something unique to his guests. He recalls a special birthday event for a local newscaster; knowing she loved soufflé – an item not currently on his menu, he created a special tasting menu around her favorite foods. Surprising her with a rooftop cake and champagne celebration while hilltop views of Washington DC completed the experience. Chef Ma likes to delegate by giving his staff ownership of their area – whether it is the Savory department, Pastry department, dish room or front of the house. See how this trust helps the restaurant operate smoothly. Time management and productivity are super important in any restaurant and hold as much importance as getting the food prepared and out to a customer. 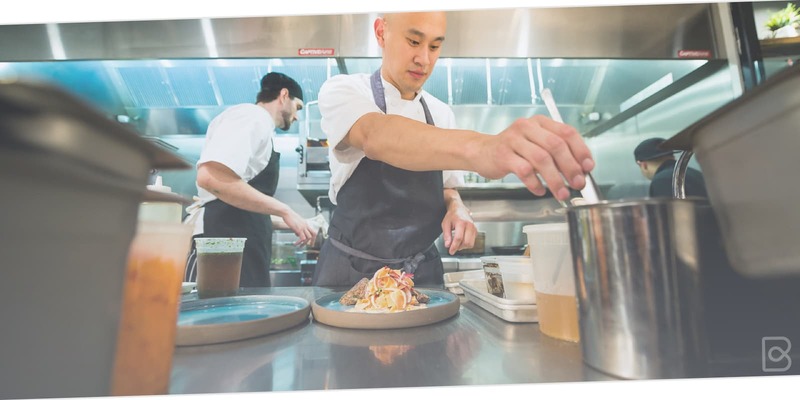 When we asked Chef Ma about the most time consuming part of being a chef, personnel management is definitely a large part of the job between hiring and management issues. Chef Ma recalls his past restaurants. He went from running a 28-seat restaurant with a moderate staff to a large staff running a 90+ seat restaurant. At Kyirisan, an intimate space with 60+ seats, he still has a large staff and spends a good chunk of his time managing staff. There is a great deal more detail here due to being new to DC and the spotlight brought on by garnering a Michelin Star ranking for 2017. A close second to personnel management is keeping track of inventory. Ideally, the Kyirisan staff would take inventory one time per week on the same day at the same time in order to get a consistent snapshot of their inventory – a task that could take about 2-3 hours a week in the back-of-the-house and another 2-3 hours per week in the bar. They don’t have time for in-depth inventory in this fast-paced restaurant, and with over 100 bottles of liquor, 20+ bottles of wine, a selection of beer and weighing beer kegs – it is a large investment of time. With the introduction of the BlueCart platform, and only six weeks in, Chef Ma has yet to experience the inventory functionality of BC, but does see the benefit of having all orders in one place as well as all ordering history. As he is still diving in with this robust platform, he does see the power in the data and analytics it allows. For instance, if he ordered 20 pounds of Brussel sprouts last week and only 7 this week, he can look at the analytics and see why that was the case. 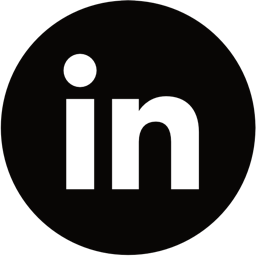 Or, if he is consistently ordering more of a product than expected, this gives him leverage to talk with his supplier about pricing, which could be quite a boon to the bottom line! Let’s give Chef Jehangir a warm welcome to The Zero Waste Kitchen as he introduces us into his culinary background and practice. Chef Mehta has created an atmosphere of not only good food, but doing things the right way. With three restaurants - Graffiti Earth, Me and You, and Mehtaphor – he manages to keep his focus on what matters most: keeping guests enchanted, while staying true to responsible sourcing and creative use of menu items. 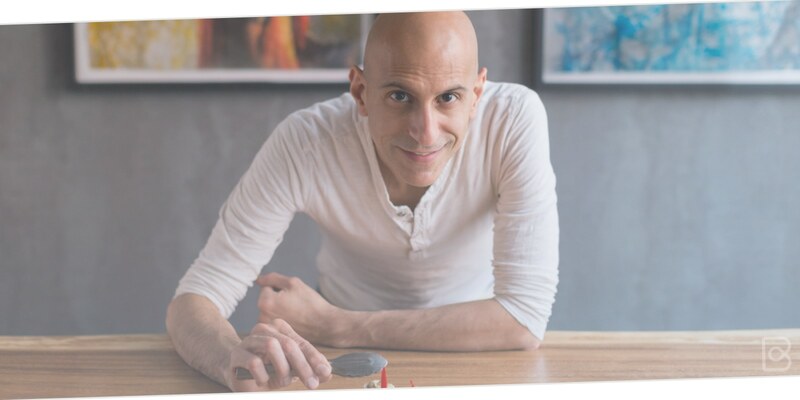 Good food prepared simply while adhering to a philosophy that stems from an Ayurvedic upbringing is the foundation for his thoughtful approach to everything. Coming from a third world country, Mehta believes enjoying the true riches of food is not only deserved for the rich. 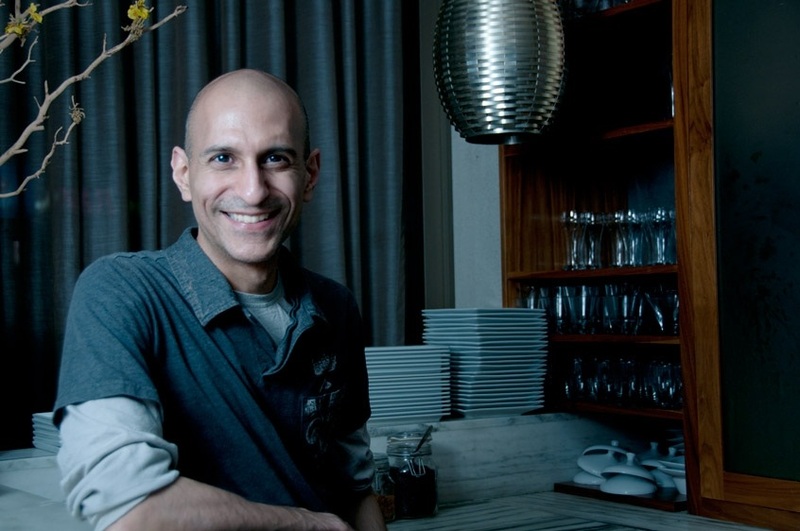 When Chef Mehta started his restaurant, his primary goal was to make people happy. By serving food that is thoughtfully prepared, Chef Mehta honors his guests and the food. Proteins and vegetables are utilized thoroughly from nose to tail and root to tip. If not utilized on a guest’s plate, then extra meat, bones, or peelings are then repurposed as stock to be used later. He also uses food that is naturally efficient - like mushrooms that use less water by design - and these are fully thought out and incorporated into the menu. In Chef Mehta’s kitchen, it isn’t just the food that is given a second life. Napkins are made from scraps of cloth and are smaller than average to save water. Silverware used in the restaurants are handed down and newspapers are placements. Menus are printed on both sides and if old, they is burned off adding a charming, but useful touch. Chef Mehta works with vendors who offer smaller minimums so he can order daily rather than large orders for the week. This helps him reduce food waste and make the most of what he purchases. If Mehta does have extra, he shares between his other restaurants. He was trained early to quickly gauge what he needs to maintain an efficient kitchen. You may know Chef Mehta as a former Iron Chef nominee and most recently given the moniker ‘Food Waste Crusader’ by Food Republic. We would say it is a title he wears well. Peek into Jehangir’s kitchen to track his back-of-house efficiency and carbon footprint! Chef Jehangir is both extremely relaxed and undoubtedly particular (especially when it comes to sustainable practices), which sets a certain kitchen culture and tone attracting a staff with matching priorities. 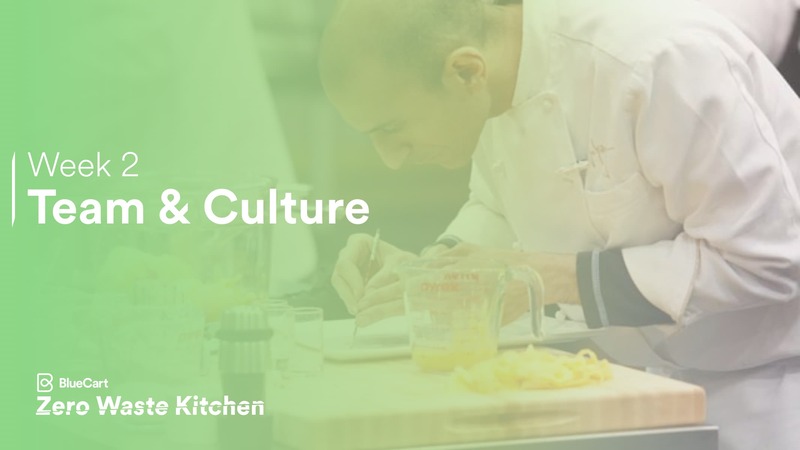 See how he revolves his team and culture around his kitchen. What it’s Like to Work in a Kitchen Where a Chef’s Commitment to Reuse and Recycle is Borderline Religious. Chef Jehangir’s commitment to a ‘reuse and recycle’ culture is borderline religious. So, if you want to work with him, you should hold these values to similar standards as well. In the kitchen, he is both extremely relaxed and undoubtedly particular, which sets a certain kitchen culture and tone attracting a staff with matching priorities. The Graffiti kitchen is very small so mistakes and successes are noticed swiftly. His kitchen staff can name their hours or introduce new procedures as long as the job gets done and their station is ready on time. Chef Jehangir has created a culture of combined self-motivation and pride. 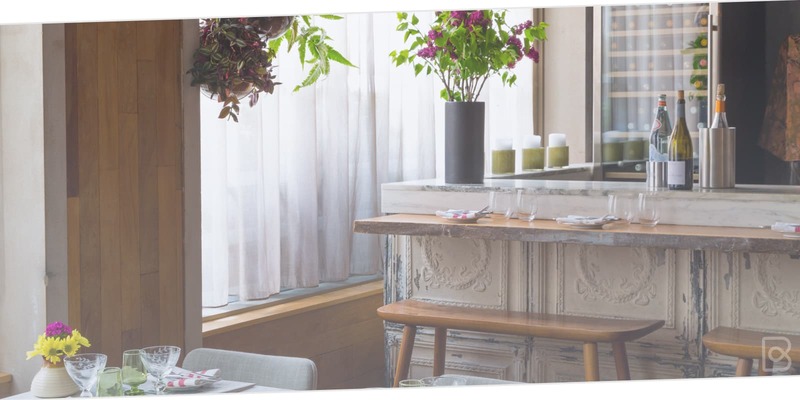 This is evident in the seamless nature of the kitchen and wait staff where the chef is encouraged to mingle with customers and even serve guests so the customers sees the staff as one. The kitchen is a give and take where harmony is a necessity. This works well for Chef Mehta who embraces this philosophy and inspires those who appreciate the culture he’s created. Longevity is the norm; most staffers stay – the longest was 16 years. Starting out as a Pastry Chef and cutting his teeth at Jean Georges as well as Mercer Kitchen is what influences his dishes today. His love of spices add a dimension to reinterpret and reinvent dishes such as his Chocolate Mole sauce. He favors spices from his native India as well as Mexico, Thailand and Korea. Getting just the right balance of ingredients and spices is important, then innovating them into new dishes is Chef Mehta’s favorite way to captivate his diners. Chef Mehta sees a resurgence in the East Village, especially more cultural and ethnic restaurants that are starting up in other NYC neighborhoods. Graffiti opened when the East Village was still in a state of grunge, so they’re no stranger to the different stages of gentrification. People who mesh with Graffiti’s culture are also of other cultures themselves. It isn’t only the dishes with international roots, the staff is as well. Chef Mehta believes that the more people are exposed to different cultures and foods, the more familiar they become leading to an acceptance of all cultures and cuisines. A dual focus on the environment and well-being are all part of the better world that Mehta believes in, a world which emphasizes compassion. Food recovery and reducing waste is second nature for Chef Jehangir. As far as his process in the back-of-the-house goes, he relies on his beliefs and his perspective on life to do most of the heavy lifting. Sustainability is evident in his Graffiti Earth kitchen in more ways than one; the menu is full of sustainable proteins and healthy grains, he uses vegetables that don’t require excessive amounts of water to maintain, such as mushrooms, and he inspires his staff to internalize the same values he lives by. 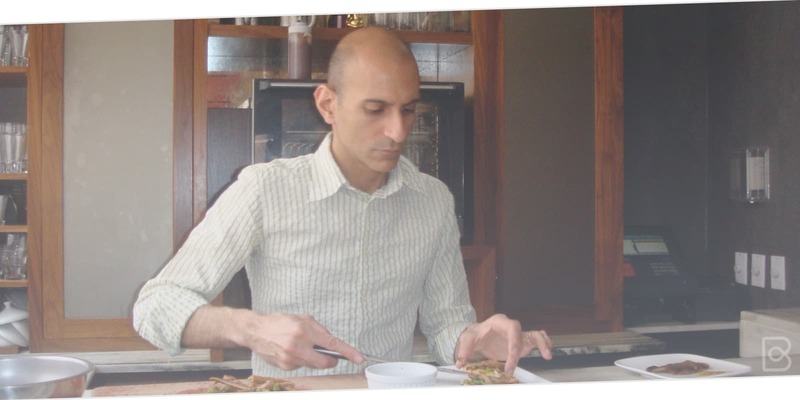 Chef Jehangir considers the entire lifecycle of a vegetable or protein. Ordering just the right amount rather than buying a whole fish is essential to using every ingredient and product that he orders through BlueCart. Not just that, but only ordering what is needed allows the fishmonger to make better use of those bones and scraps. His sustainability mantra is even well-known by his customers; a couple who had a large Thanksgiving gathering recently donated their three Turkey carcasses to Graffiti knowing it would be utilized well. To lessen their food waste footprint, Jehangir and his staff keep track of food usage and utilize extras by making stock every day. This enables Graffiti’s menu to constantly evolve on a smaller scale to always put new spins on classic menu items. Graffiti’s customers appreciate the authentic and unique tapestry of flavors. 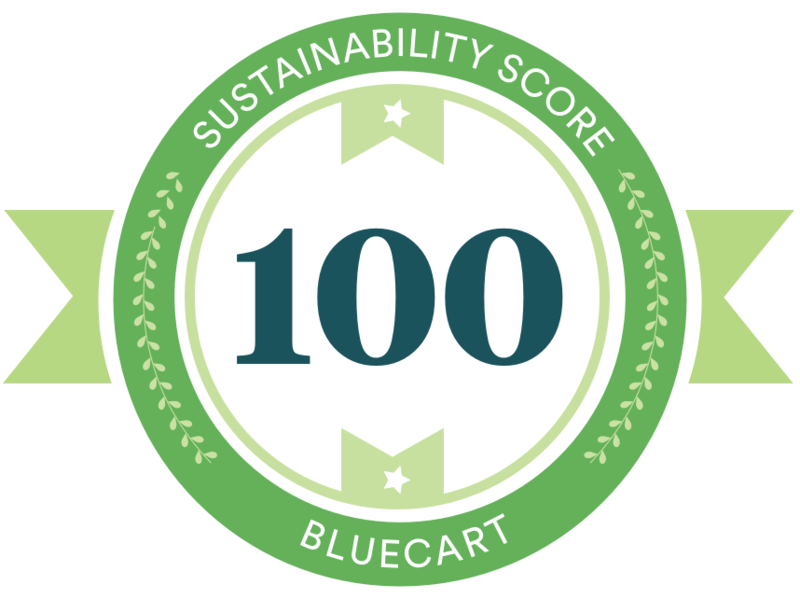 Using the BlueCart platform offers the advantage of receiving detailed food tracking metrics and measuring the yield in addition to comparing sales and understanding the relationship between the two. Chef Jehangir also shared his collaboration at UMass Amherst Dining Services about how he has brought his sustainability philosophy to the staff. One of his most valued routine practices is checking each station at the end of the shift. It’s basic, simple, and it’s crucial to minimizing food waste as proactively as he does. A few of his take-aways; utilizing the filling initially used for Bao Buns to make Dumplings for the next day or collecting the scraps from the Turkey carving station and making a slaw or salad. 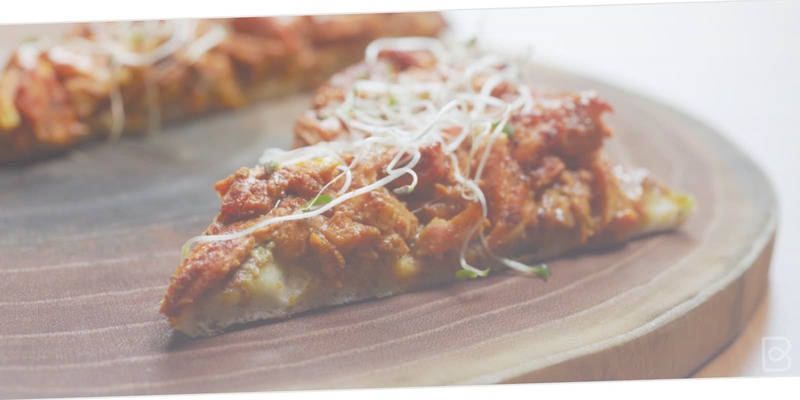 He noted how this tends to set off a chain of events from changing food costs to how the cook thinks about all food scraps and the further process of utilizing other ingredients. 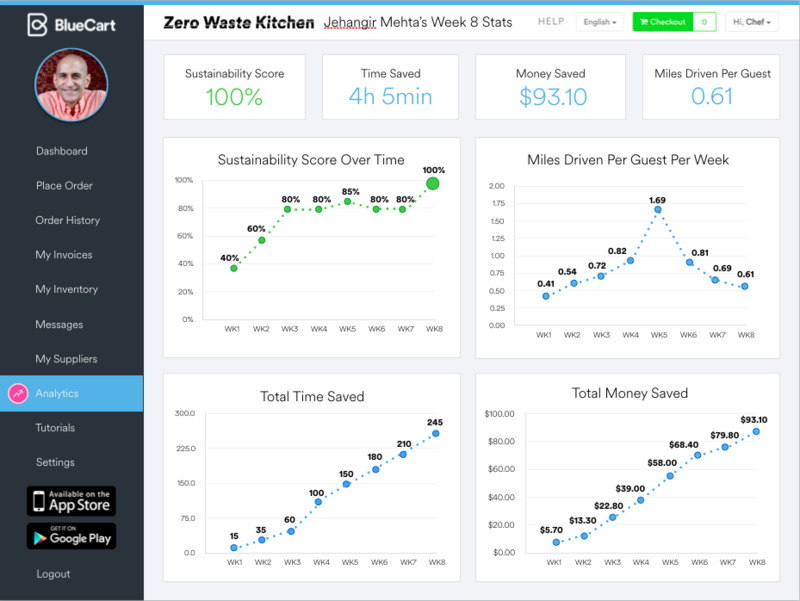 In addition to reducing food waste, Chef Jehangir is also mindful of the entire cycle by lowering waste disposal fees since restaurants are charged by the pound. Money found and money made. It is a good thing. Scores are rising! Peek into Jehangir’s kitchen to track her back-of-house efficiency and carbon footprint! By commingling global flavors with his background and training, Chef Mehta has created a menu with unexpected yet delicious results. Let’s see how his suppliers have helped take his menu to great heights. Chef Mehta’s menu at Graffiti is a culmination of his thoughtful, compassionate approach to food and place. By commingling global flavors with his background and training, Chef Mehta has created a menu with unexpected yet delicious results. Let’s see how his suppliers have helped take his menu to great heights. Responsible sourcing and seeking out local and sustainable ingredients from suppliers who care about food waste is very important. When choosing vendors, he looks to those he knows, trusts and who can provide quality products. Having supplier partners who go the extra mile is always nice; one of Chef Mehta’s suppliers will go out of their way to immediately correct an order or even find an ingredient she is out of and deliver personally. 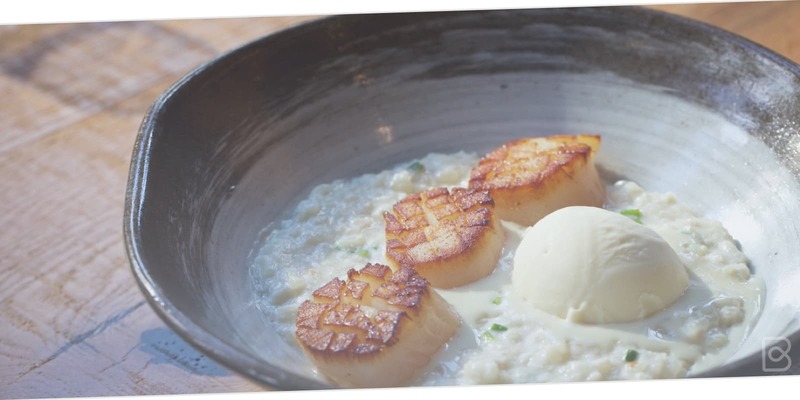 One of those trusted suppliers is Sea To Table; a company specializing in connecting domestic fishermen with chefs employing sustainable practices. Chef Mehta has been working with Sea To Table for a few years now and appreciates their ‘zero waste’ philosophy as it aligns with his own sustainable mission and practice. Sea To Table values a chef who understands what happens at the dock. It is here that Chef Mehta is able to purchase broken scallops where other chefs prefer perfection. The result is a still delicious dish made from what might have gone to waste otherwise. After all, a supplier can choose to offer irregular or “ugly” food that’s perfectly healthy and edible, but it takes a progressive chef to bring that food into the kitchen and prepare. It’s a two way street. With roughly seven vendors on the BlueCart platform and counting, Chef Mehta can send his orders directly via e-mail. Prior to using BlueCart, Chef Mehta used various methods for placing orders; voicemail, texts and sometimes speaking directly to the sales rep. Whether working with current suppliers, or choosing new ones, a very important quality is integrity – especially when it comes to fixing errors. An added benefit Chef Mehta has noticed with using BlueCart is having records at his fingertips. Having that paper trail to catch mistakes or see that an order has already been placed saves time and headaches for the Graffiti Kitchen staff. Human touch is still important and necessary; maintaining communication is a necessary component. Numbers are rising! Get familiar with Graffiti Earth’s back-of-house efficiency and carbon footprint stats! Prior to using the BlueCart platform, Chef Mehta would call in or text his orders. If a specific product or additional information on purchasing a rare ingredient was needed, he would call directly. See how his order process has changed now! Prior to using the BlueCart platform, Chef Mehta would call in or text his orders. If a specific product or additional information on purchasing a rare ingredient was needed, he would call directly. Monitoring inventory is ongoing throughout the day and usually a thorough look through all refrigerators and keeping up-to-date with purchasing from staff is consistent. Petty cash receipts means initial ordering wasn’t correct. Keeping the staff accountable to save money on the front-end is important, and additional costs hit the bottom line directly. Additionally, handling food waste has always been a manually measured task. With a smaller kitchen, additional items were obvious such as an extra pomegranate or case of lettuce – rare in this kitchen as his orders are conservative to begin with. The original philosophy remains and Chef conscientiously focuses on unloved produce, underutilized seafood and sustainable proteins with the ultimate goal of reducing food waste. Chef Mehta will always find ways to use extra inventory. One of those ways is private events and something Chef Mehta calls ‘memory driven food’. This chef has a very unique presentation delivering a private and personal dining experience tailored to individual tastes. By asking specific questions beforehand, he learns of a guest’s favorite experiences, travels and tastes. Taking those details in account, Chef Mehta creates an experience by compiling a story that taps into all the guest’s senses with special thought behind each carefully crafted course. A guest may walk into a room with aromas from a favorite place and find their favorite flavors interwoven in the dishes to evoke special memories. In addition, a special touch at the end of the evening may be a continuation of the experience, offering even more customized value to create more than just a dining experience for the customer. With this kind of attention to detail for customers, technology is welcome but only when it does not disrupt the experience. Utilizing BlueCart has made the back-of-the-house ordering more efficient by having all orders and items visible. Chef Mehta is also looking at mobile payments for customers – convenient, and also less paper. As long at technology adds to the experience without taking away the human touch, it is welcome here at Graffiti Earth. Running a restaurant is a juggling act. 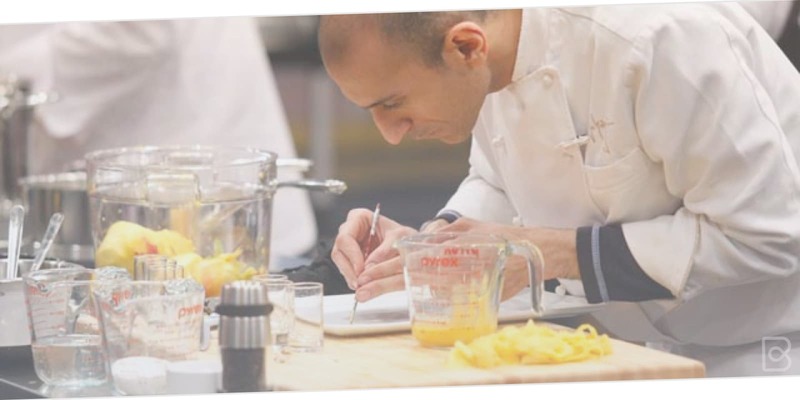 “You need to be a marketer, chef, advisor and a motivator”, says Chef Mehta. Read his blog to find out how he copes with multiple roles so efficiently. Running a restaurant is a juggling act. “You need to be a marketer, chef, advisor and a motivator”, says Chef Mehta when asked what the most time-consuming part of a Chef’s job is to him. This is in addition to the culinary side of the business and pleasing customers. Working with his staff to be as efficient as possible is a large part of his job. Staying on top of labor costs is much more difficult for a smaller restaurant. For Chef Mehta, doing double duty and looking at the economics; hard costs and labor costs, is his primary responsibility. The realities of running a restaurant remain the same; size doesn’t matter when facing volatile food prices, thin profit margins and a labor-intensive business model. Inventory is easier at Graffiti Earth; with a small kitchen, staying on top of what is on hand and what is needed is simplified by size, but reduced even further with BlueCart. In fact, Chef Mehta tells us what he likes after using the BlueCart platform for six weeks; he was travelling recently and because the BlueCart platform is in the cloud, it allowed him to see exactly what was being ordered by his staff. Normally, he would not know this until he returned to his restaurant. In this particular instance, he was able to notice an item ordered that he knew they did not need and rectify it immediately. Because of BlueCart, he can now either cancel that order or correct it right away without having to wait weeks for a credit to come through, thus saving his restaurant money. This feature alone helps him stay on top of inventory and reduces over-ordering. Numbers are rising! Get familiar his back-of-house efficiency and carbon footprint stats! Numbers are rising! 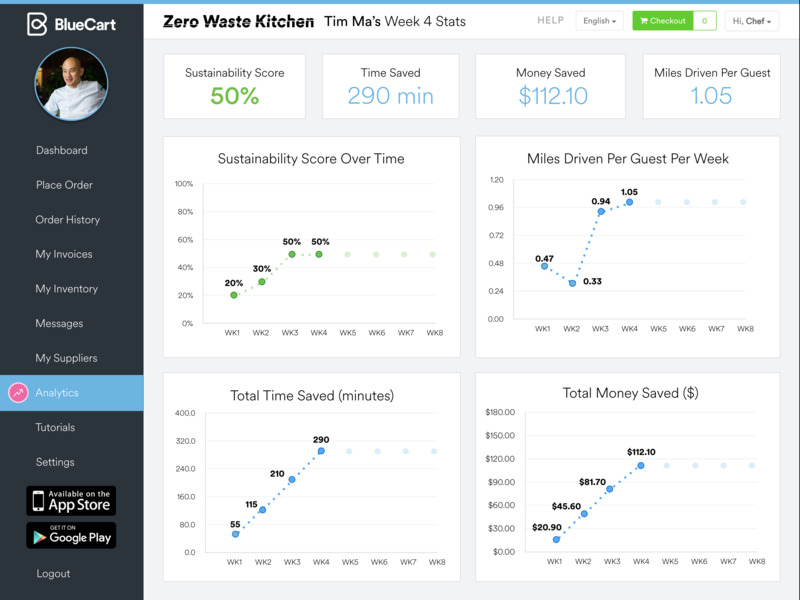 Get familiar with his back-of-house efficiency and carbon footprint stats! An estimated 70 billion pounds of food is wasted a year. Most food waste initiatives address the food waste problem after it has happened, but there are few initiatives that prevent food waste from happening. 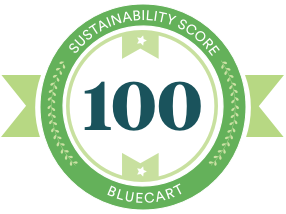 BlueCart is the first technology that does just that. By using BlueCart’s application, restaurant users have noticed a 52% in reduction of food waste due to incredible order accuracy. 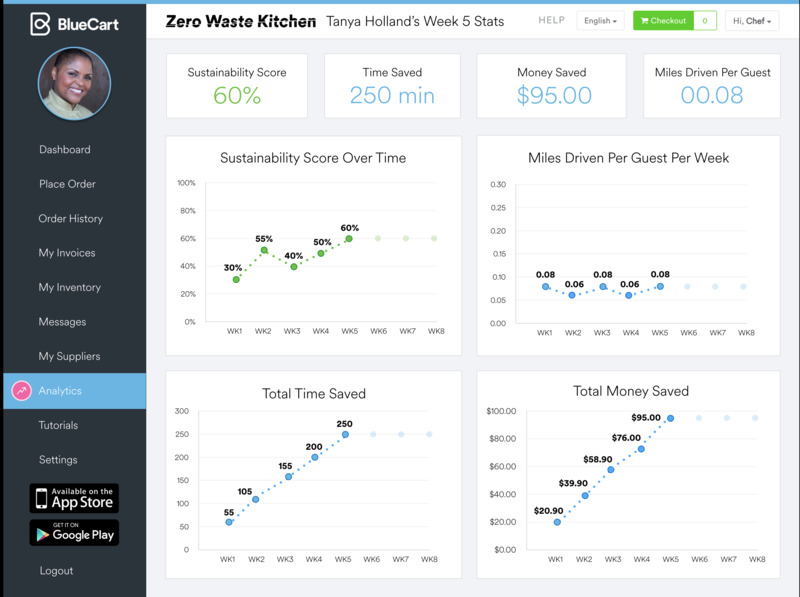 Join us each week to follow our chef's progress to becoming food waste leaders. We have found 3 chefs in 3 cities: San Francisco, Washington D.C., and New York who are super serious about food waste. Zero Waste Kitchen is our live case study which highlights not only the statistics an average BlueCart user would see on the application, but also tracks the chefs food waste and their carbon footprint! 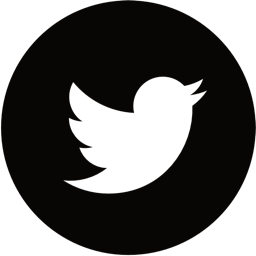 So if you’re someone that’s passionate about food waste, you’ll want to follow us! We're mobile, get our app! © 2017, BlueCart, Inc. All Rights Reserved.